Blaze365 is proud to host sports, fitness and wellness events. 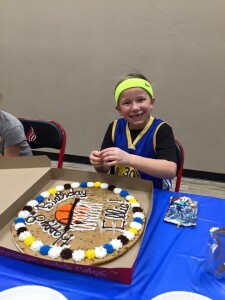 While we offer our own sports camps, clinics and tournaments as well as fitness and wellness events, we also make our facility available for special events and meeting renta l.
Birthday Parties, Baby and Wedding Showers, and More! Blaze365 is the perfect place for your next celebration!! The Blaze365 facility, including the gym and meeting room, are available for rental for corporate meetings, team building exercises and social events. Our facilities are also available for faith-based gatherings including speakers, service projects, retreats and wellness events. Blaze365's gym features a beautiful, hardwood full-size basketball court and volleyball court. We rent our gym to other teams and youth sports groups.